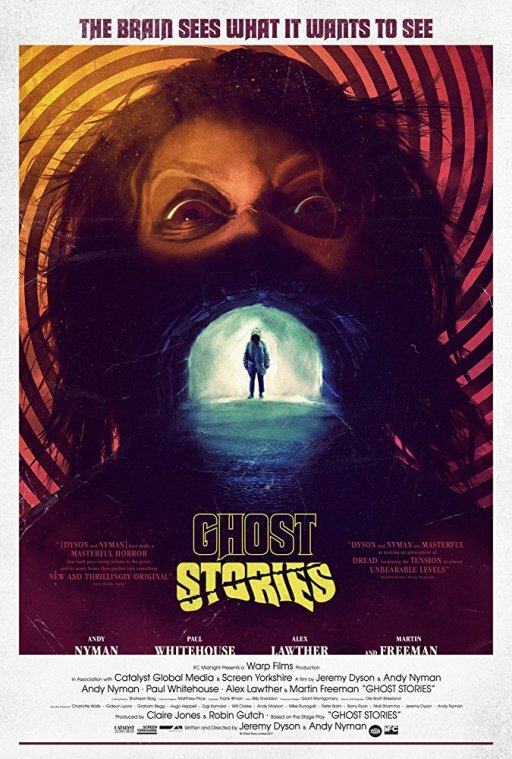 HispaShare.com - Película "Historias de fantasmas"
Director: Jeremy Dyson , Andy Nyman. Martin Freeman, Alex Lawther, Jill Halfpenny, Andy Nyman, Paul Whitehouse, Nicholas Burns, Daniel Hill, Kobna Holdbrook-Smith, Jake Davies, Ryan Oliva, Derren Brown, Samuel Bottomley, Lesley Harcourt, Oliver Woollford, Maggie McCarthy, Paul Warren, Emily Carding, Amy Doyle, Ramzan Miah, Louise Atkins, Christine Dalby, Benji Ming, Joe Osborne, Richard Waring. Bastante mala. Ninguna de las 3 historias es medianamente buena, de hecho, son bastante cutres.